Though Tavistock Books is not known for our poetry books, we do have a selection for you on this most auspicious of days. See our list by Samm here! In the meantime, we thought we would share some our favorite poems with you… one poem from each of the Tavistock team members. Enjoy our favorite reflective verses as much as we do, and don’t forget to silently (or loudly) thank your favorite poets on a day like today! If has been a personal favorite of mine since I was quite a young girl – my family being fans of Kipling for many reasons (not, though, for his cultural views). I recited this poem in middle school and to this day still have it memorized. It was written in 1895, as an “evocation of Victorian-era stoicism—championing self-discipline, which popular culture rendered into a British national virtue and character trait.” (Wayback Machine). For me, though? It gives me courage. And in all honesty… I can’t help but share this reading of my favorite poem by Michael Caine. 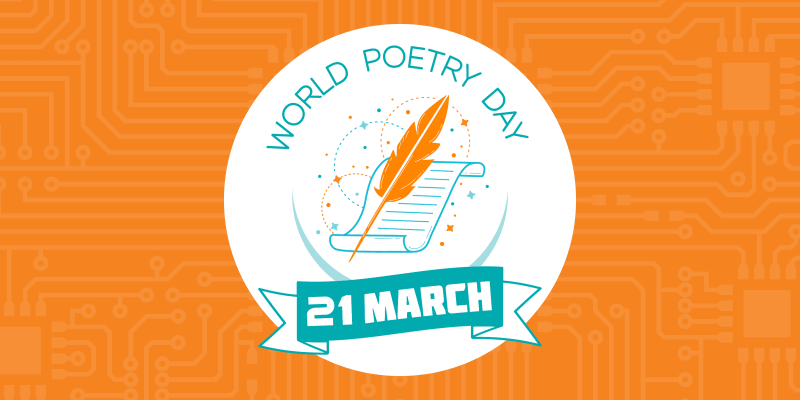 Happy World Poetry Day, all! This entry was posted in Events on March 21, 2019 by tavistock_books.